CHIGOZIE OBIOMA was born in 1986 in Akure, Nigeria. His short stories have appeared in the Virginia Quarterly Review and New Madrid. He was a Fall 2012 OMI Fellow at Ledig House, New York. He has lived in Nigeria, Cyprus and Turkey, and currently resides in the United States, where he has completed an MFA in Creative Writing at the University of Michigan. The Fishermen is his first novel. "Entrancing.... Its rising tension and poetic grace make this one of the finest novels to come from Africa in years." 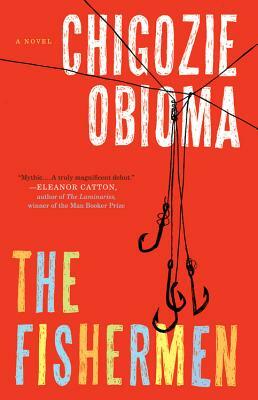 --Wall Street Journal "Best Books of 2015"
"This year's most promising African newcomer may well prove to be Chigozie Obioma.... In his exploration of the mysterious and the murderous, of the terrors that can take hold of the human mind, of the colors of life in Africa, with its vibrant fabrics and its trees laden with fruit, and most of all in his ability to create dramatic tension in this most human of African stories, Chigozie Obioma truly is the heir to ­Chinua Achebe." --Fiametta Rocco, New York Times, "100 Notable Books of 2015"